It's Almost Your Birthday, Libra! We Have a Gift for You. Can you believe we've made another trip around the Sun? With your birthday just around the corner, now is an excellent time to review what has happened over the past year and begin planning for the new solar year. Right now, we're offering free access to your 2013-2014 birthday reading here. Be sure to type both the login and password in lower case letters. If you are using an iphone or ipad, you'll need to disable your auto-correct function before you login. And after you've listened, you may pre-order your Libra birthday reading for the coming year for only $24.95 (this is the lowest price we will offer -- half off the published price). 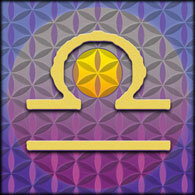 One of our customers commented about their Libra reading, "I am so blown away with Eric's forecast. It is amazing, he is so deep and in touch with so many deep levels of consciousness. He is truly unique. Because of their depth and relevance, Eric's birthday readings have become a favorite among his listeners -- and they're designed to take you far beyond your birthday. One listener wrote, "When I first purchased the reading I was floored by how much it resonated with me, and after a month or so of respite from having it on repeat in my car, it rings truer than before." These readings morph the best of Eric's work as a Sun-sign astrologer and a professional counseling astrologer. This is one of the most affordable, useful and excellent reading packages in the entire astrological profession. And Eric covers topics that are the most important to you -- taking a deep and introspective look at things you've been questioning, thinking about or trying to work out. Eric develops your key life themes in language that's accessible and engaging. He's also designed this beautifully presented, one-hour audio reading plus tarot card reading to be accurate, informative and meaningful for Libra rising and Moon as well. Thanks for taking advantage of our special offer and for supporting Planet Waves. I know you'll benefit from a review of this year's densely packed astrology and from the upcoming reading that Eric will be recording for you soon. PS -- If you would like to have all of Eric's readings in the coming year, access to all premium members content on one site with your own password, astrology text updates and more, you may sign up for the All-Access Pass for a special rate of $295 through Friday. The Libra birthday reading is included in this awesome all-inclusive package!